I wrote the above almost a year ago, when I made the decision to put all my stories and blogs posts about my years as an Innkeeper into memoir form. I had never written a memoir before and had no idea where how to start. But, like most of my new experiences in life, I just jumped right in. I started gathering information and talking to every writer I knew about memoir and what they thought it was. There was a lot of controversy and many were not able to give me a definitive answer. So I went to the dictionaries, online and off. I started formulating definitions and writing about them on my blogs, my writers sites, and all my social networking sites. I got a lot of feedback. 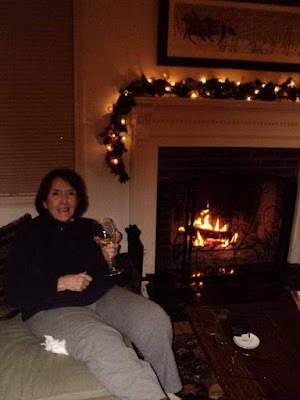 On one of my writer’s sites, I posted regularly about what it was like being an Innkeeper, the challenges, the interaction with guests,and the running of a small business. I began getting lots of comments and interest in what I was writing. Many of my virtual friends suggested that I collect my posts into some kind of book form. at first, I laughed off the idea. Up to that time my thoughts about writing books were that they were too time consuming and required too much from me in the way of commitment and dedication. Never did I think that I couldn’t do it. I just never thought about it at all….until one day, out of the clear blue. I went to a place on line called Fast Pencil. I registered and started posting my stories as chapters into the program. It was free unless you wanted to self publish. I came up with a bland, working title and starting spending more and more time there. I still wasn’t thinking about publishing; I just wanted to see what all of my stories and events looked like as an organized unit. My writing strategy was to organize the stories and information about the Inn I had already posted into chapters, then write a preface and afterward, I decided that, if I didn’t have enough stories to produce 70,000-90,000 words, I’d dig down into my memories of the past 16 years and add some more. I just wrote whatever came to my mind planning to re-write later. I wrote five to six hours a day…everyday for months. I changed the title three times, and may not stop there. The first one was: Tales From An Innkeeper’s Crypt. I used this one to post my stories when I first started writing about my inn keeping experiences. After studying the memoir market a while, I discovered there were too many “Innkeeper Tales...” out there and I needed to come up with something more original. Eventually, I adopted A Memorable Time of My life as a working title. The third and present working title came from a line out of the book: Operatic Divas and Naked Irishmen, a little off beat and more interesting. Where am I now in the process?…and it has been a process, from which I’ve learned a lot. I’m over halfway finished with the first writing (approx 60,000. words), I’m working on a query letter for agents, and a proposal. I’ve had several readers look at it, have posted my query and excepts from the manuscript on several writer’s sites for feedback, and have self-edited and re-written parts of it many times. It is now stewing on line, waiting for me to get back to it with fresh eyes, to rewrite again, finish the chapters, have an editor friend look at it then re-read it through for clarity, flow, voice, etc. etc. The process is complicated, many layered, and at times intensive…but for me, it’s more comfortable than writing fiction. I actually discovered I am truly a non-fiction writer through this process. Few writers cross over very well and I guess I’m one of the one’s who prefers not to. Non-fiction is the category of writing I’ve been drawn to all my life. I prefer reading biography and memoir to fiction as well, and enjoy satire. I don’t like Sci-Fi or Fantasy. I like reality shows and prefer real life stories to made up ones. Since “voice” is an important part of any piece of writing, I have infused my book with humor and good-natured sarcasm, which is characteristic of my particular voice and style. To anyone who wants to write a memoir, make it honest, authentic, and reflect the real you. You can make it creative, by using techniques from fiction writing, but get to the truth and flush it out. And remember this, it’s not as easy as it seems. Description: OPERATIC DIVAS AND NAKED IRISHMEN is a humorous and poignant account of how an admittedly asocial retired school teacher with no business sense reinvents herself as an Innkeeper. The reader is taken on a sixteen year journey as the author deftly wields her way around cantankerous contractors, harrowing housekeepers and no shortage of strange and interesting guests. Through her collected stories, the author gives the reader a personal, in-depth, and honest look at what it’s like to be an Innkeeper and not lose one’s sense of humor. Excerpt from Chapter: …Will The Real Roger Easton Stand Up? I heard it loud and clear. I was on the third floor of my bed and breakfast sitting at my computer with my shoes off working away on a new article. By the time I finished the last paragraph, it had turned into a steady pounding. I got up and walked to the stairway, shoes in hand. Sitting on the top stair, I put them on one at a time, while the pounding got louder and louder and took on a sense of urgency. I hurried down the forty stairs to the ground floor, thinking that this must be a worker from the street who has come to tell me they’re turning my water off for a while. I opened the front door and there he stood, rumpled; his weather-beaten canvas jacket open in the front revealing a denim workshirt. His hair was all askew, and a backpack was thrown over his left shoulder. He looked a little annoyed. Business man…business man…this is a business man? I thought. If this is a business man, where is his brief case?….and his computer?. “And you are?” he asked, reeking of tobacco. “I’m Nancy, the owner and innkeeper,” I replied. Telling him to put his backpack down in the hall, I took him into the parlor to give him the grand tour, the one I always do for my in-coming overnight guests. As we left the parlor and entered the dining room, I pointed out the snacks and drinks that were available for guests. “Is it okay if I have some of that liquor over in the corner?” he asked, completely ignoring the fresh baked chocolate chip cookies on the cakeplate nearby. Hesitating to think that one over for a bit, I answered “Yes” I’m such a trusting soul. He told me he would be eating breakfast at nine and asked if his friend, the one who had made the reservation Roger I think his name was, could stop by later for a visit. A sharp jab in my stomach alerted me. Do I tell him the truth? Why is he asking that? “Yes”, I said and sent him up to the third floor, with a key, to find his room. I hurried to my room on the second floor and double locked the door. Sitting on the bed, I tried to catch my breath, his words whirling around in my head. Later I heard him leave, then return. I quietly went down, to check out what was going on. I entered the parlor and there he was with an already half empty bottle of Vodka, in his right hand, pouring himself a drink. The brown paper sack from the liquor store across the street was lying on the floor. “Hi,” he said, looking up at me from my favorite winged-back chair, with a crooked but friendly smile on his face. He was now reeking of both tobacco and Vodka. “Hi” I countered, scurrying past him and heading for the kitchen. “Oh no, thank you. I don’t drink”. I said, maybe a little too curtly. I made it to the kitchen, without appearing too rude, happy that I wouldn’t have to answer any personal questions. I retreated up the back stairs to my room, which I immediately locked tight. An hour or so later, the doorbell rang and I could hear him open it and greet his friend. For a while, it was very quiet and then I heard the two of them leave. Excerpt from Chapter eight: …I opened the door to a barrage of people., having no idea who they might be. The only person scheduled to check in that night was a single, elderly lady. “I am Madame Rosalina Capriani!,” the woman announced, “and these are my suitcases”. Don’t blow off an interview. If you are famous or not, busy or not, popular or not... Don’t blow off an interview. When I book (or my publicist books) an interview for me, I will be there! I promise to show up at the designated time or even a little bit early. I will ask the producer for his or her suggestion and I will be there at the time given to me. I will be full of energy and ready to go. I will test all equipment prior to the interview, and will make sure my equipment sounds good. If it is an in-person interview, I will arrive on time or a little early ready to go (no matter how crazy the day was prior to my arriving. I promise to be of good cheer and will make the host’s job easy. I will know my key messages backward and forwards. They will be burned into my brain. I will deliver my key messages with energy and confidence. I will be a shining example of an author who knows his or her stuff. Ok. You can put your hand down now. Very good. This is not that hard. Just as an FYI, when you cancel an interview at the last minute, it can throw the show into a panic, especially if it’s close to airtime. Even worse, if you don’t cancel at all...You just blow them off. This is a big no no. As a media strategist who works with authors who want to get their messages out there, one of the worst things you can do is to blow off an interview. The reason for this post is due to a recent personal experience. I won’t name names and I won’t go into detail (but there are some people who would go into detail, which is another reason why you don’t want to do it), but I’m using this as an opportunity to tell you not to do this. It’s unprofessional and it’s unacceptable. Period. Now, there are times when life happens and you can’t make it, e.g., a family emergency, you’re sick or some other tragedy, and that is understandable. But to blow off an interview because one is disorganized, or simply didn’t feel like it, will work against you. I consider myself a forgiving person, so this author who blew off the show is still a fine human being. I simply no longer trust him to show up, so how likely am I to rebook this and try again? Not very, and believe me, I am not alone. There are too many other organized, thoughtful authors out there with fantastic information who would love to be on the show. Other dos and don’t to working with the media: Media Breakthrough Package. A hilarious birds-eye view behind the Victorian curtains… Amazing wit, courage, and tenacity….. funny & entertaining. In 1994, at the age of 64 with no business experience and very little start-up money, the author buys a turn-of-the-century mansion in Louisville Kentucky on a whim and turns it into a charming Victorian Inn. As Her life begins to change, she discovers that the new neighborhood she will call home is not only filled with beautiful 19th-century architecture, but also comes with an assortment of curious residents—quirky locals, and unsavory characters—who soon expose the underbelly of a neighborhood in transition. When she opens a bed and breakfast and invites strangers into her own home, things begin to get interesting, and a little dicey. As Ms. Hinchliff masters the art of innkeeping, she also learns about the intricacies of human nature. She begins to write down her recollections and favorite recipes, which eventually take the form of a debut memoir: Operatic Divas and Naked Irishmen: an innkeeper’s tale, an all-around amusing and inspiring read that gives the reader a look into what it is like to be a strong, independent woman facing life’s challenges one guest at a time. She Writes Press, 2017. ISBN 978-1-631-52194-2.
Who hasn't fantasized about running a bed and breakfast? These daydreams generally pop up right after a weekend in a charming little place, or after touring through an old mansion. A misty film falls over reality and visions of fresh baked scones float past, It must have been something like this that inspired Nancy R. Hinchliff to switch gears—and climates—at a time when most people are looking forward to cruises, punctuated with a little gardening. At age sixty-four, thrice divorced, she moves out of Chicago and heads for Louisville. Does she know anyone in Louisville? Only an on-again, off-again friend, Maggie, who barely seems to notice her friend's relocation. Inevitably, the dream of a bed and breakfast crashes almost at once. Not only is the house Hinchliff buys—a once elegant mansion—woefully unsuitable for a modern bed and breakfast, but the neighborhood is not-quite-ready-for-gentrification. Her first employee is a junkie. Her first guests eat her out of many days worth of food—in one day. She needs five rooms to break even, but only has four. Although she has the energy of a cyclone, Hinchliff is not a natural at being a hotelier. In her own words, she's "asocial" and a "perfectionist with OCD tendencies," who proves a demanding boss. With candor, she admits to some monumentally dumb moves: opening a bed and breakfast without knowing that the neighborhood is unsavory, getting contractors without contracts, hiring that first employee—the junkie—from a chance encounter on the street. No references even requested. Still, she soldiers on. In the twenty years she owns the inn, she runs through a lot of employees. Bryan, the lovely young man with a gentle touch for divas; Kari who can't seem to finish a single task, but wants to buy the inn; Quentin, a spoiled momma's boy, and others. As with many small business owners, Hinchliff can't keep the good ones and hates to fire the bad. In her spare time, she writes, blogs and networks. She breaks her foot, finds some more employees, soldiers on. Then, in her eighties, she packs it up—but keeps writing. The book has some interesting stories and even some recipes. What it lacks is a sense of joy or connection. Hinchliff came to Louisville with little sense of the city, and aside from learning about the Kentucky Derby, she never seems to want to be a part of the place. Her inn could be anywhere. I never got the sense that she liked the city or running a bed and breakfast. Louisville was a place, and the inn was a challenge, an Everest to climb, and she did it. Her guests were more necessary inconveniences then welcome visitors. Even the ones she professes to like, like the befuddled Mr. Block, are ultimately more nuisance than anything else. She loved learning about Victorian and decorating the inn, which was, apparently, reason enough to do it. This sense of disconnection is exacerbated by the structure of the book. It is episodic and non-linear, common enough for memoir. The author shares little of her life before or even during her time as an innkeeper. She mentions she has two daughters, is estranged from one and "best friends" with the other, and that's about it. Married and divorced three times. she gives us no sense of her marriages. She spends several chapters sniping about Maggie, her Louisville friend. Why did she pack up thirty years of Chicago life to move to a city where Maggie was the only person she knew? (Maggie and Nancy's friendship ends in a fight over a comforter.) Instead of exploring that, she spends a chapter assessing the multiple failures of a housekeeper, Jason. She never shares why she was planning to move to Austin with her daughter, or much of anything else about her family. We never learn her other daughter's name, let alone what caused the rift between them. The last few chapters are largely complaints and self-congratulations, and the assertion that she would do it all again. Why? Because she did it once, she beat the odds. Almost as an afterthought, she picks up a thread from the first chapter—how she passed on her mother's poor parenting to her own daughters—but by this point, we've already formed our impressions. Don't get me wrong: I admire a woman who takes her retirement fund and plunges into a new venture. I want to like her. At least, I'd like to know about her. Hinchliff, however, plays it close to the vest. In the end, I settled for some interesting stories and pretty good recipes that left me wanting more. At age 64, Nancy R. Hinchliff retired as a Chicago teacher and opened a bed and breakfast in Louisville. With little money and no business experience, she managed to create an elegant inn. While running the inn, she was an active writer, blogger, and member of Louisville's business community. 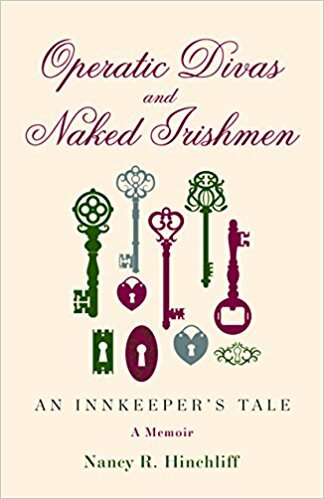 Operatic Divas and Naked Irishman: An Innkeeper's Tale, by Nancy Hinchliff, is now available for pre-sale. It describes the author’s experiences running a B&B in Old Louisville. Publication date is June 6, but you can preorder it by going to Amazon. After June 6, look for it at Carmichael’s and other major book outlets. (Old Louisville On The Go Newsletter, 5/4/2017). Writing Tips to Naked Irishmen: Short Reads on Vermont Books by Margot Harrison, et al. 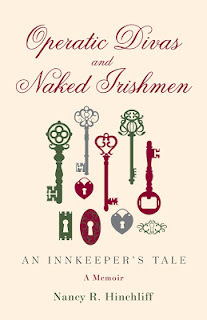 Re: Operatic Divas and Naked Irishmen: An Innkeeper's Tale by Nancy R. Hinchliff, She Writes Press, 240 pages. $16.92. In this passage from her memoir, Nancy R. Hinchliff describes the historic Louisville, Ky., neighborhood where, at the age of 64, she purchased an elegant Victorian hoping to turn it into a bed-and-breakfast. A retired schoolteacher with little relevant experience, she nonetheless ended up running her inn for two decades, gathering plenty of stories along the way. From rehab nightmares to unhelpful help to eccentric guests (the title alludes to two particularly memorable ones), Hinchliff weathered plenty of misadventures. An independent-minded, lifelong urbanite who minces no words — — "Moving to Vermont," she writes, "was like moving to a third-world country for me" — she tells her tales in brisk, readable chapters. Each one includes a delicious-sounding recipe from Hinchliff's B&B repertoire. Hinchliff launches her book on Tuesday, June 13, 7 p.m. at Phoenix Books Essex. 1. "For anyone who has ever thought about running a Bed & Breakfast, Operatic Divas and Naked Irishman offers a hilarious birds-eye view behind the Victorian curtains…" (Katharine Hollister, editor, Beatdom Books). John and I actually finished my interview video. We did it at his house in front of the fireplace. It went pretty well, although I was quite nervous about it to begin with. He's editing it this month, so I think it will be ready some time in February. As soon as it is, I plan to post it here, as well as on the many social media sites I'm on. together, so I'll just wait and see. The video (book trailer) questions have been worked out and I've been practicing answering them. 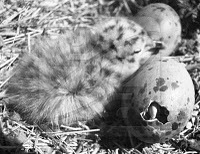 We've decided to work on the project over Christmas vacation (from U of VT), where John (who is now my publicist) works. We will also be taping an audio piece of me reading from a chapter in my book, a good way to practice for book-signings and readings in local bookstores and libraries. We are preparing to create a video about my new memoir. My son-in-law, John, will be creating interview questions for me and filming the event. I will post it on my social media and blog sites, as well as here on my new author website. I invite all of you to take a look and post any comments or questions you may have about it , my book , or me. John sent me some interview questions last week so I can start coming up with answers and practice responding to him on camera. The thought of it makes me very nervous. I have always had problems with extemporaneous situations, being a little shy and introverted as some writers are.